SeaWorld and its former CEO have agreed to pay more than $5 million to the Securities and Exchange Commission (SEC) to settle fraud charges for misleading investors about the impact the documentary “Blackfish” had on the company. “Blackfish,” which was released in 2013 documented and criticized SeaWorld’s treatment of its orcas, killer whales, and received significant media attention after the film’s debut. The company later released statements to the press about the impact the documentary would have on its reputation and business. 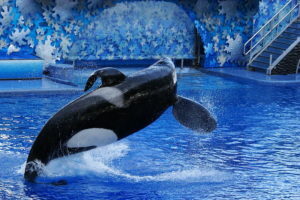 SeaWorld and its CEO made untrue and misleading statements or omissions in SEC filings, earnings releases and calls, and other statements to the media regarding the impact of the film on the company’s reputation and business. The complaint alleged that on August 13, 2014, SeaWorld acknowledged for the first time its declining attendance was partially caused by negative publicity from the documentary, SeaWorld’s stock price fell, causing significant losses to shareholders.